Healthy lifestyle habits such as exercising regularly, not smoking, maintaining a healthy weight, and minimizing stress all help to reduce inflammation. But one of the biggest factors in chronic, low-level inflammation may be the food you eat every day. You might assume that all “healthy foods” are anti-inflammatory and all “unhealthy foods” are inflammatory. If this were the case, the anti-inflammatory diet would resemble any other healthy eating plan. But it’s not quite that simple. Some wholesome foods, such as certain fresh fruits, grains, and lean protein sources, can have mildly inflammatory effects in the body. That’s not to say that you should eliminate these foods from your diet. 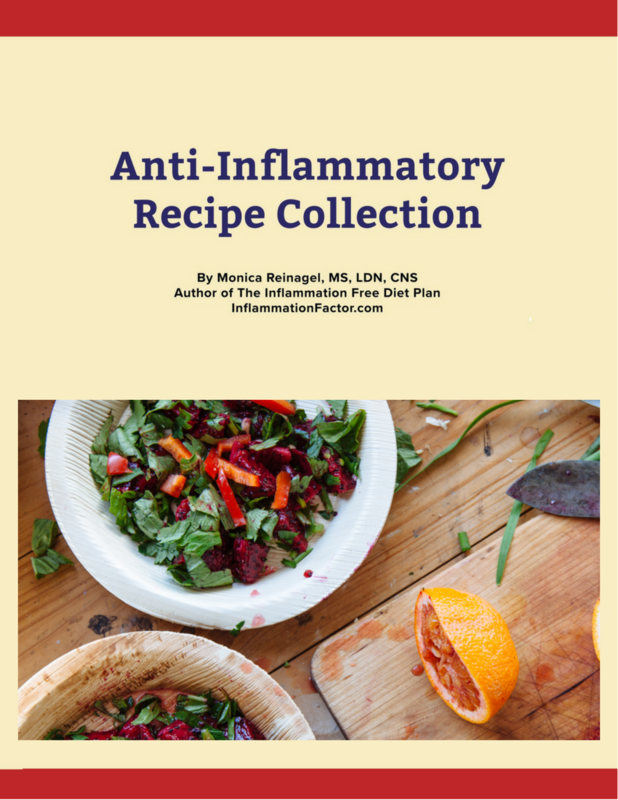 But to avoid excessive inflammation, you want to balance your intake of inflammatory and anti-inflammatory nutrients and foods. To do that, you need to know which are which. There are at least two dozen factors that affect a food’s inflammatory potential, including the amounts and proportion of various fatty acids, the amount of antioxidants and other nutrients, and the food’s glycemic impact, or effect on blood sugar levels. Many foods have a combination of inflammation-producing and inflammation-reducing factors. An orange, for example, contains antioxidants that quell inflammation. But it also contains natural sugars that can have a mild inflammatory effect. Likewise, a piece of lean beef contains both inflammatory saturated fats as well as a surprising amount of anti-inflammatory monounsaturated fats. Popular advice about “anti-inflammatory” foods is often based on just one or two nutrients, such as omega-3 fats or antioxidants and fails to consider the whole picture. The IF RatingTM system was developed to take the guess work and confusion out of following an anti-inflammatory diet. 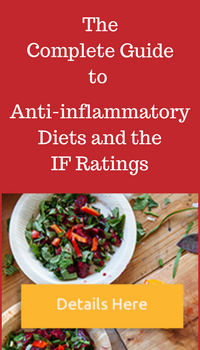 With the IF Ratings, you can see at a glance whether a food is likely to be inflammatory or anti-inflammatory. To estimate the inflammatory potential of entire meals or recipes, you simply total up the IF Ratings of the individual foods.